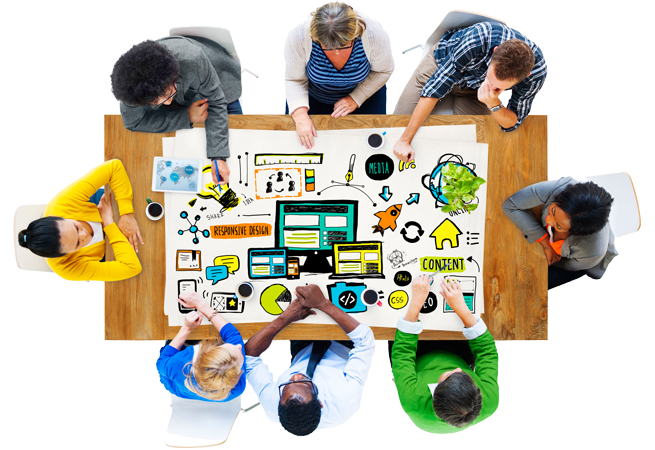 At Bracomedia, we all work together to bring the best web solution that will satisfy our customer's needs and keep them happy. When we meet our customers for the first time we listen carefully what they have in mind, what is their current stage regarding their online presence and what they want to accomplish. Then, we brainstorm and come up with the best possible alternatives that will serve well our customers' needs. For over a decade, we have striven to providing our customers with a professional, high-level service and pleasing experience that has been converted into a true return on their investment. Our core services include website design and development, search engine optimization (SEO), e-commerce websites, graphic design, and print marketing materials. We serve small to medium size businesses who are willing to have an online presence or upgrade their existing websites.